Please call our office at (773) 293-2700 to schedule your child’s appointment. Already have an appointment? We are honored that you have entrusted your child’s care to us. Please help us get to know your child by taking a moment to print and fill out these forms before your first visit. Thank you for your confidence in our dental team! Children are special to us, and we look forward to seeing you and your child soon! Preventive dentristry begins with the first tooth! 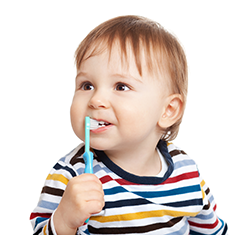 We recommend that children be seen by their first birthday in order to establish a dental home.